When considering the contributions of capital defense lawyers like Terry Lenamon to the fight against the death penalty in this country, most people think of their advocacy in a particular case, particularly the more publicized trials. 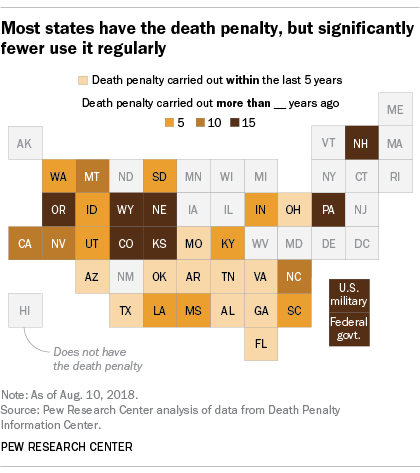 However, it is the strategies and skills of death penalty defense lawyers that are being recognized as a more systemic contribution to the declining use of capital punishment in this country. focus upon jury selection in capital cases. Florida Death Penalty Case Re Low IQ as Mitigating Factor in Death Penalty Case before USSCt: Will Florida Statute Be Found Unconstitutional? Washington’s death penalty laws have been declared unconstitutional not once, not twice, but three times. State v. Baker, 81 Wn.2d 281, 501 P.2d 284 (1972); State v. Green, 91 Wn.2d 431, 588 P.2d 1370 (1979); State v. Frampton, 95 Wn.2d 469, 627 P.2d 922 (1981). And today, we do so again. None of these prior decisions held that the death penalty is per se unconstitutional, nor do we. The death penalty is invalid because it is imposed in an arbitrary and racially biased manner. While this particular case provides an opportunity to specifically address racial disproportionality, the underlying issues that underpin our holding are rooted in the arbitrary manner in which the death penalty is generally administered. The administration of the state law by the state violates the state constitution, according to the state supreme court. At the very least, article I, section 14 cannot provide for less protection than the Eighth Amendment, and in this case, we interpret it independently from the federal counterpart. Let there be no doubt — we adhere to our duty to resolve constitutional questions under our own constitution, and accordingly, we resolve this case on adequate and independent state constitutional principles. See Long, 463 U.S. at 1041-42. Some may be surprised that a state supreme court can make a ruling that can withstand United State Supreme Court scrutiny. Well, aside from some procedural arguments there is the overall reality that state governments do exist independently from the federal government. As long as a state supreme court reads its state constitution to be more protective than the federal counterpart, its ruling will hold. The principle that we will not review judgments of state courts that rest on adequate and independent state grounds is based, in part, on “the limitations of our own jurisdiction.” Herb v. Pitcairn, 324 U. S. 117, 125 (1945). Will Gregory result in more capital punishment challenges being filed before state supreme courts, arguing against their death penalty laws on “adequate and independent state grounds” and not federal constitutional arguments? Perhaps. Of some interest, let’s not forget that this month marks the October 2016 anniversary of Hurst and Perry opinions by the Florida Supreme Court insofar as the Florida Death Penalty Law. Something to ponder. One of the cases in which Ayala served as prosecutor was the homicide case of State of Florida vs. Markeith Loyd. Now, as part of the defense of Markeith Loyd, Terry Lenamon has filed a motion with the court that announces the intent of the defense to call State Attorney Ayala as a defense witness in the penalty phase so she may testify in the event that Markeith Loyd is convicted of a capital offense. State Attorney Ayala, as the elected prosecutor for the Ninth Judicial District, represented the state’s interests from the seeking of the initial grand jury indictments against Markeith Loyd to her determination that the death penalty would not be sought in this case. (See Motion, page 4). Click Orlando.com coverage in “Markeith Loyd’s attorney wants to call State Attorney Ayala to testify,” written by Adrienne Cutway. Another motion of importance was also filed yesterday by Terry Lenamon. This one, an argument regarding constitutional violations across the State of Florida in death penalty cases based upon racial discrimination. 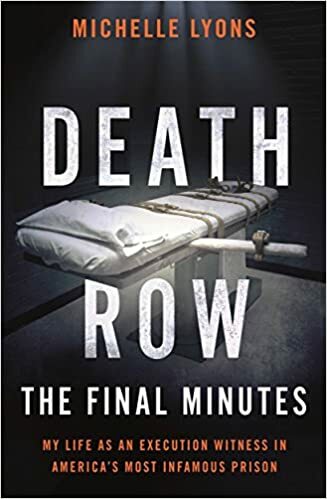 Death Row: The Final Minutes by Michelle Lyons is a book that you may want to read, no matter your position on the death penalty. It’s a well-written memoir (consistent 4.5 and 5 star reviews, if that’s important to you). Michelle Lyons was an eyewitness to almost 300 executions by lethal injection by the State of Texas. Part of the time, she did so as a reporter. For the rest of the deaths, she was there as the media representative (spokesperson) for the Texas Department of Criminal Justice. She watched the inmates die, time and time again. She also grew to know many of these men and women, as well as the staff who had the horrific responsibility of carrying out the execution. (As did her friend and predecessor Larry Fitzgerald, who figures prominently in the book). For those interested in capital punishment, reading what Michelle Lyons has to tell us about her knowledge and perspective regarding the death penalty, the lethal injection method of execution, and how it impacts so many people is important. Michelle was in the death chamber as some of the United States’ most notorious criminals, including serial killers, child murderers and rapists, spoke their last words on earth, while a cocktail of lethal drugs surged through their veins. An incredibly powerful and unique look at the complex story of capital punishment, as told by those whose lives have been shaped by it, Death Row: The Final Minutes is an important take on crime and punishment at a fascinating point in America’s political history. This week, Amnesty International released its findings regarding capital punishment in the State of Florida. “While several US states have embraced abolition in recent years, Florida remains a diehard proponent of the death penalty and one of a handful of states that account for the bulk of executions in the USA,” said Erika Guevara-Rosas, Americas Director at Amnesty International. Florida shows few signs of joining the USA’s 19 states that have already abolished the death penalty or the others that are rethinking it. It is ranked fourth in the number of executions carried out in the USA since 1976, when the US Supreme Court approved new capital laws. Darkness visible in the Sunshine State: The death penalty in Florida examines how many death row inmates have been denied the chance of a review of their death sentences by the state’s response to the Hurst v. Florida ruling in 2016, in which the US Supreme Court overturned the state’s capital sentencing statute because it gave juries only an advisory role in death sentencing. Tennessee executed Billy Ray Irick using a lethal injection procedure involving midazolam on August 9, 2018; for details, see coverage provided by the Intercept. Until this month, Nebraska had not executed a Death Row Inmate in 21 years. Tennessee’s August 2018 execution was its first in almost nine years. Once someone is sentenced to death, he resides on Death Row in the jurisdiction of his conviction. Whether or not the death sentence is carried out is a different matter from being sentenced to die. For instance, the federal government also allows for capital punishment, but no one has been executed under federal law since 2003. California’s Death Row is notorious for holding a growing population, while no one has been executed in California since 2006. There are several reasons for these growing Death Row populations; we’ve delved into California before, for instance. However, there appears to be a growing return to active execution schedules in the United States, in what Justice Sotomayor deems a “rush to execute.” These two August 2018 deaths involved very controversial lethal injection protocols, and there is a concern that using drugs like fentanyl or midazolam is cruel and unusual punishment. As to the prediction that this Court would deem up to 18 minutes of needless torture anything less than cruel, unusual, and unconstitutional, I fervently hope the state courts were mistaken. At a minimum, their conclusion that the Constitution tolerates what the State plans to do to Irick is not compelled by Glossip, which did not categorically determine whether a lethal injection protocol using midazolam is a constitutional method of execution. See Arthur, 580 U. S., at ___ (opinion of SOTOMAYOR, J.) (slip op., at 12). Glossip’s majority concluded only that, based on the evidence presented in that case, there was no clear error in the District Court’s factual finding that midazolam was highly likely to prevent a person from feeling pain. Ibid. (citing Glossip, 576 U. S., at ___ (slip op., at 16)). As noted, the trial court here came to a different factual conclusion based on a different factual record, as have others. See McGehee, 581 U. S., at ___ (opinion of SOTOMAYOR, J.) (slip op., at 2) (noting a district court’s “well-supported finding that midazolam creates a substantial risk of severe pain”); Otte v. Morgan, 582 U. S. ___ (2017) (SOTOMAYOR, J., dissenting from denial of application for a stay and denial of certiorari) (similar). If it turns out upon more sober appellate review that this case presents the question, I would grant certiorari to decide the important question whether the Constitution truly tolerates executions carried out by such quite possibly torturous means. In refusing to grant Irick a stay, the Court today turns a blind eye to a proven likelihood that the State of Tennessee is on the verge of inflicting several minutes of torturous pain on an inmate in its custody, while shrouding his suffering behind a veneer of paralysis. I cannot in good conscience join in this “rush to execute” without first seeking every assurance that our precedent permits such a result. No. M1987–00131–SC–DPE–DD (Lee, J., dissenting), at 1. If the law permits this execution to go forward in spite of the horrific final minutes that Irick may well experience, then we have stopped being a civilized nation and accepted barbarism. I dissent.